OK, Valentines Day is around the corner and I thought I’d post a dessert recipe. 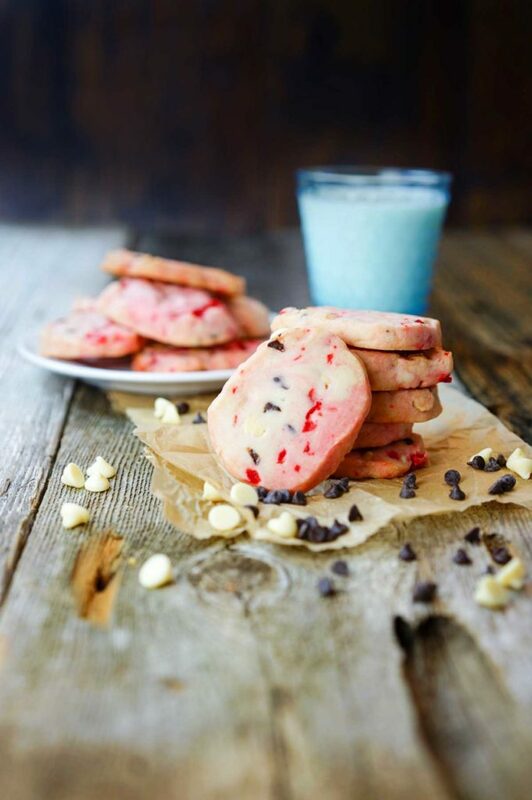 It’s been awhile, but these Chocolate Cherry Shortbread Cookies are sure to please. 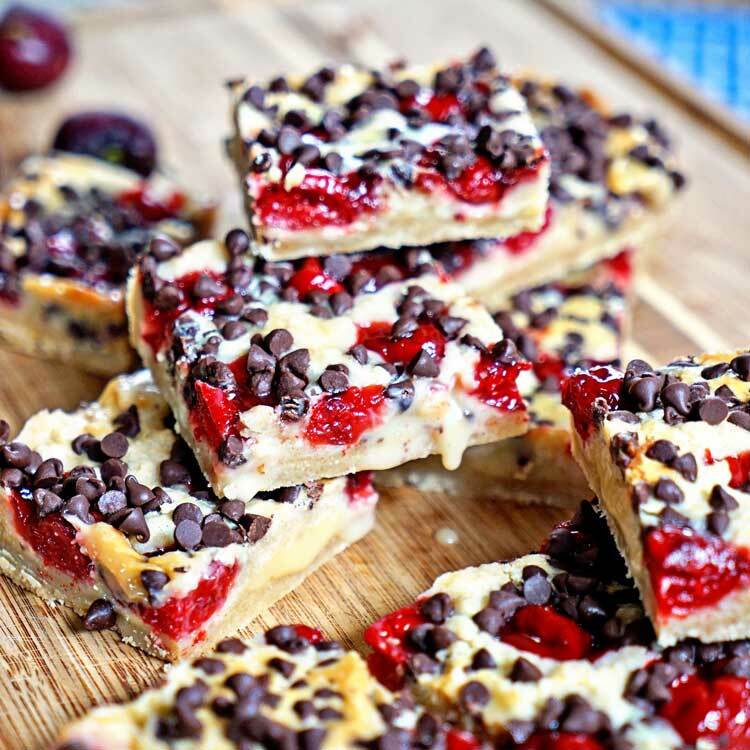 Soft shortbread laced with chopped cherries with white and dark chocolate chips. Feel me? Yum! 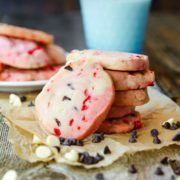 This uses my basic shortbread cookie dough recipe, but is chock full of delicious, sweet maraschino cherries. To satisfy the chocolate craving, I added white chocolate chips and took it a bit further with some mini dark chocolate chips as well. Like I’ve said before, this is a site devoted to helping “mixed diet” families, like Dave and I, make meals that are every bit as delicious as they are healthy – because life’s too short to be bland! That includes desserts and I wanted a cookie darn it! With Dave being a type 2 diabetic I have really made an effort to make meals and desserts with him in mind to be able to enjoy. Every now and then I make something for me and you. He has one and that’s it. So with everything, a little moderation is in order and just a couple of these will do. The rest, are for friends. Really. Scouts Honor. 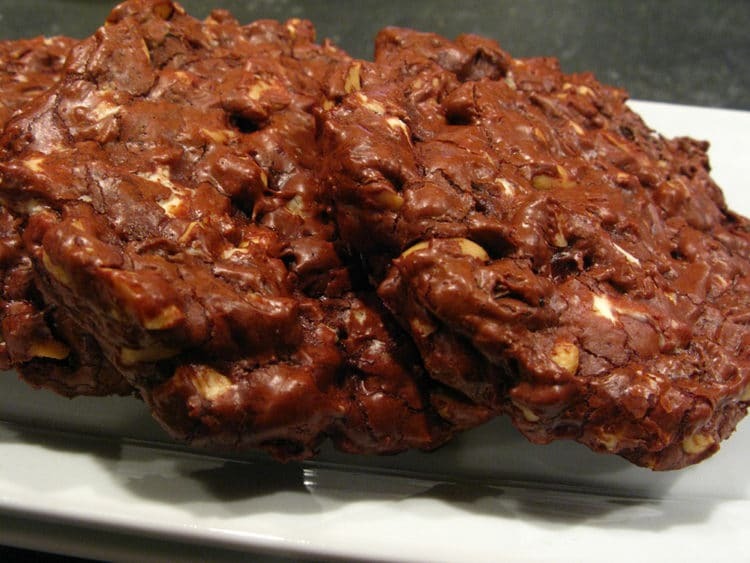 These come together quickly and can be enjoyed fresh from the oven with a glass of cold milk and your sweetie. 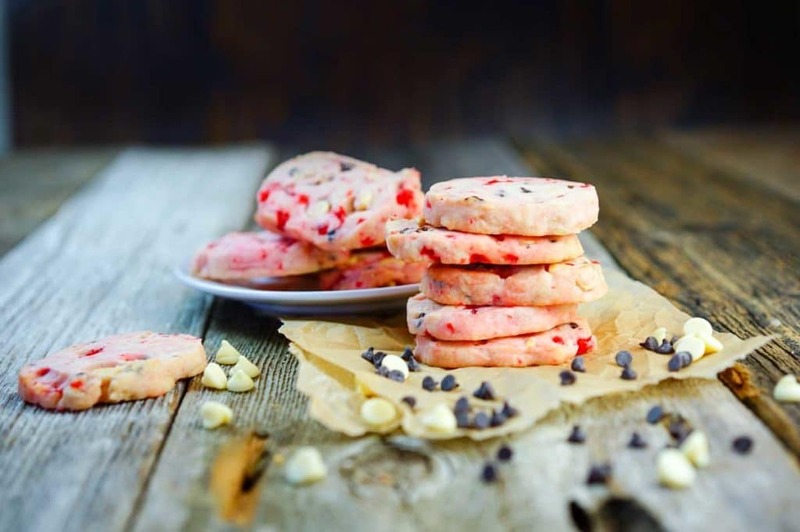 These Cherry Shortbread Cookies are chock full of delicious, sweet maraschino cherries, white and dark chocolate chips for a perfect sweet snack treat. In a mixer, cream the butter and the sugar. In a bowl sift together the flour and the salt. Mix the dry ingredients into the butter and sugar mixture until it comes together. 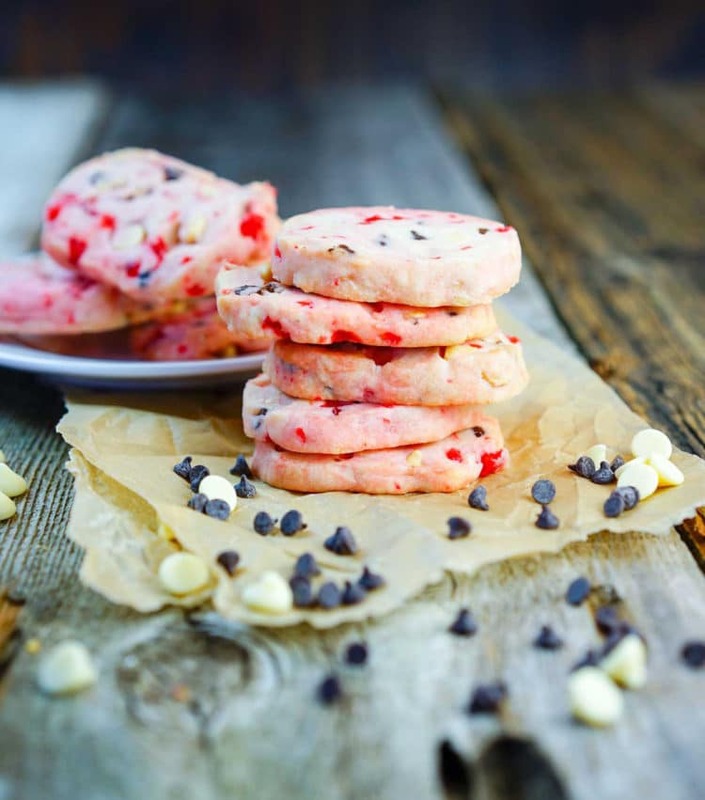 Mix in the maraschino cherries, white chocolate and dark chocolate chips. Using a spatula, scoop the dough onto a piece of plastic wrap, and form into a 2 inch diameter log. Wrap tightly with plastic wrap, and freeze for 40 minutes. Preheat oven to 325°F and line a cookie sheet with parchment paper or Silpat (silicone baking sheet). Unwrap the cookie dough log, and using a very sharp knife, cut into 1/4-inch slices, and arrange on the baking sheets. This makes 24 cookies. Bake the cookies for about 15 minutes. 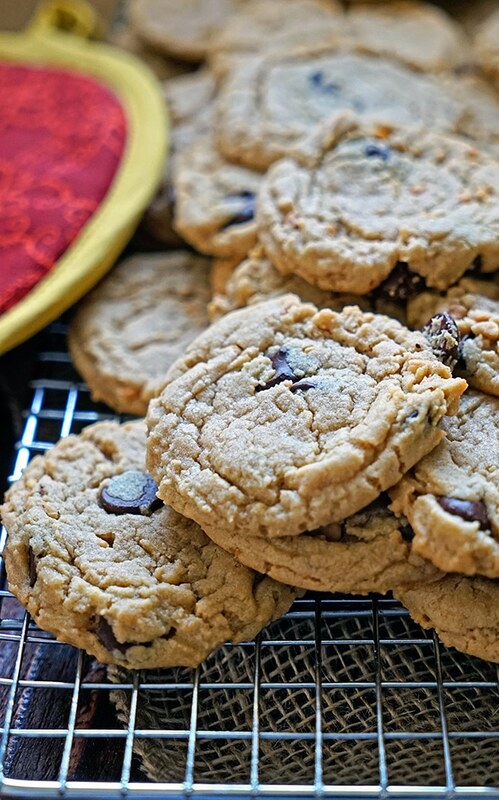 Allow cookies to cool slightly and move to a cooling rack. I’ve never thought to bake with maraschino cherries, but that is a fantastic idea! 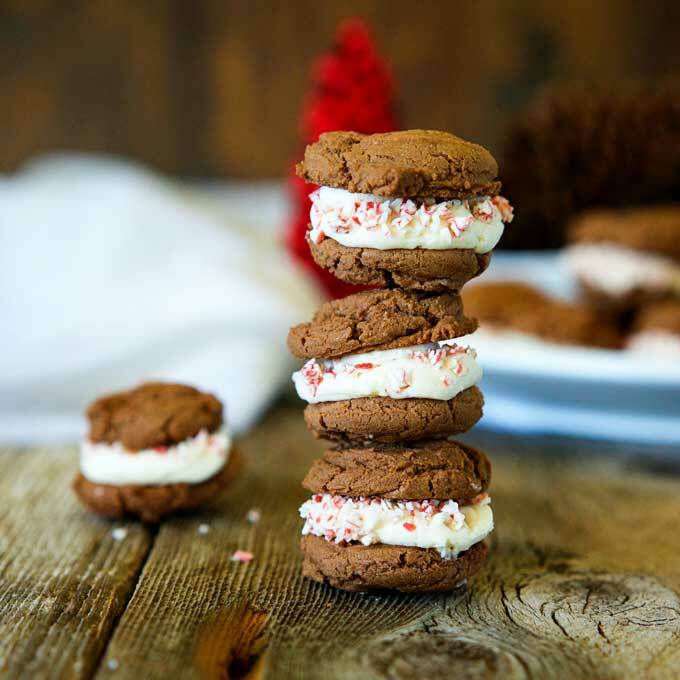 These look completely irresistible…I can see it now: I’ll be telling myself “just one more” over and over again. Thanks for sharing the recipe! True! 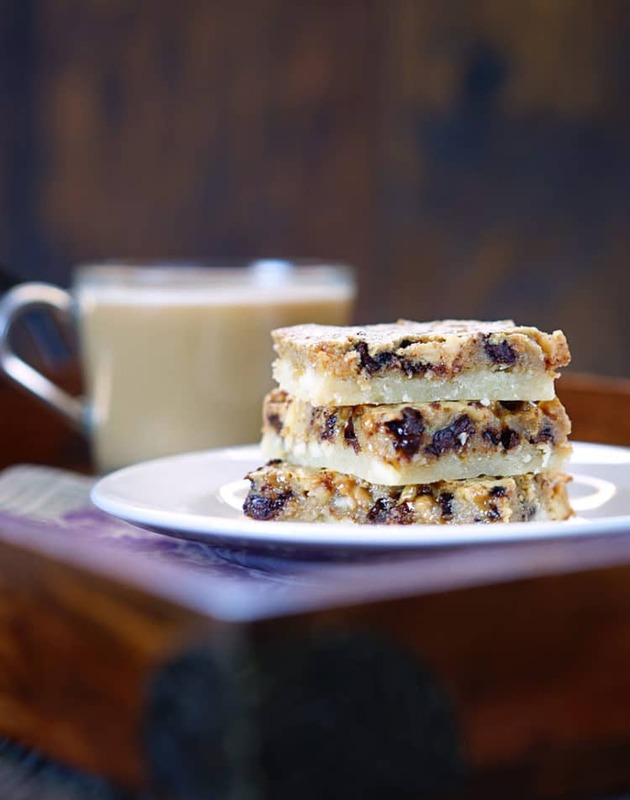 LOL Now can we talk about a trade, I’ll make some of these for you if you make me some of your amazing Poppy Seed Blood Orange Bars. Deal? Thanks Mara! Shortbread cookies again, I’m still thinking of that espresso, white chocolate toffee one, pinned this one too! And I’m glad you can do balance to make meals for the family, I’m still struggling with this 🙁 Really well done Kevin ! Every now and then I need one, but I too try to keep the sugar lower these days. Plus, it’s always nice to bring friends the desserts I make here that are occasionally not always so in line with being “good”. Thanks Farida! Thanks KC, they are so good and you can never go wrong with shortbread cookies. “The rest are for friends”, he says as he wipes the pink crumbs from his mouth. I think I’d struggle to share any of these. Perhaps one! Oh, I guess I meant me and friends, but I did share. Ha! Hope the two of you are enjoying a beautiful weekend John. Cheers! 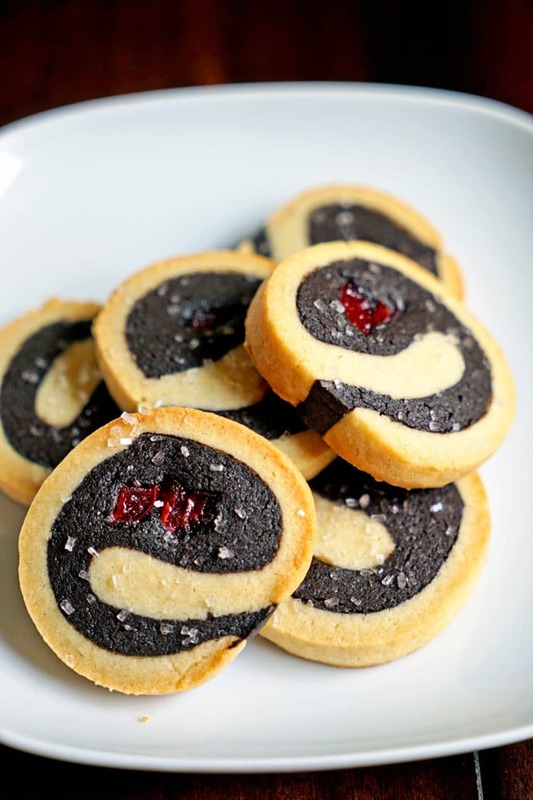 I love the combo of cherry and chocolate – then you put them in shortbread!! Yummy…Have you ever tried Luxardo brand marachino cherries? If not, it’s a must…have a wonderful weekend my friend! Hey Kevin! I was thinking about shortbread cookies yesterday and here you are with jazzed up shortbread! 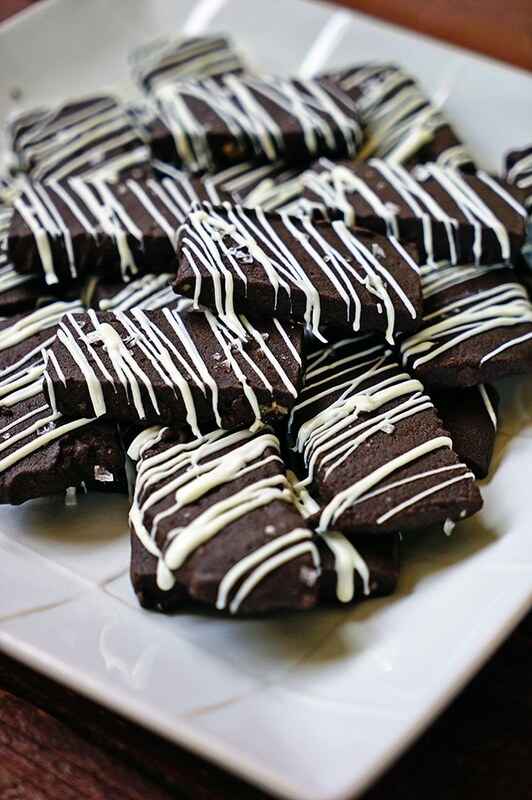 I am definitely making these for Valentines Day! Oh my gawwwwsh – you had me hooked at “maraschino cherries”! 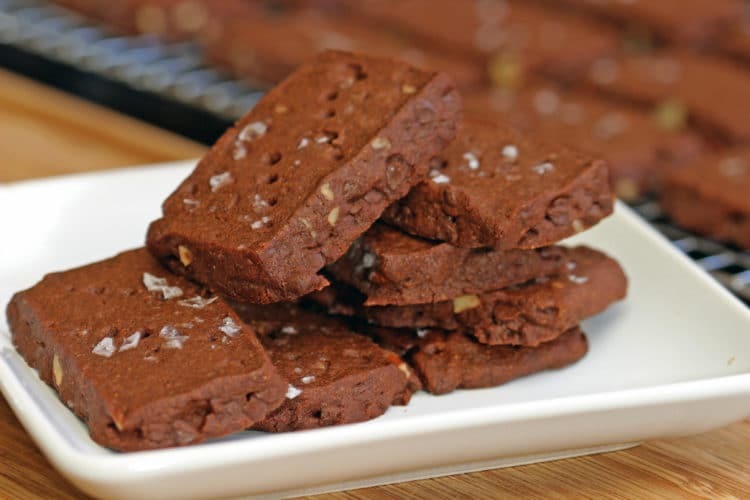 Life is most definitely too short to be bland and these sure do bring the yum factor up quite a few notches! Thanks Shashi, shortbread cookies are my all time fav and they can be made so many different ways. This one is especially fun, colorful and perfect for that moment of sweet weakness. Have a wonderful Happy Valentines Day if you celebrate, and enjoy your weekend.